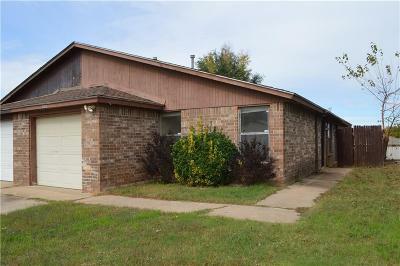 This is a cute half-duplex near Tinker Air Force base, shopping, and dining. There is a big backyard and an attached garage plus inside laundry. Also featured are big bedrooms, a spacious living room, and a separate dining area with patio doors leading to the backyard.